Rack and cans sold separately. BajaRack roof racks and accessories were created as rugged solutions for the adventurer that likes to go beyond the trail. All BajaRack products are designed using the latest CAD tools and manufacturing equipment. BajaRacks feature steel tubing construction with epoxy primer and powder coat black to prevent rust and improve long term durability. The BajaRack philosophy is quite simple – offer the best products on the market for adventurers to enjoy for many years. These jerry can holders are Compatible with NATO, Blitz and Scepter jerry cans and designed to fit two 5 Gal./20 Liter cans. This special mount was made for these cans because of their oversized spout that would not fit in the regular fuel can holder. This dual can holder is compatible with tubing and mesh floors. Finish: Epoxy primer with black powder coating. This holder is also compatible for most Ranger Rover and Land Rover (with the exception of LR3 and LR4). 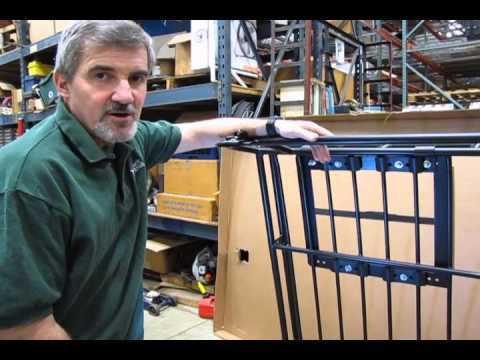 Watch Doug, our Land Rover Master Technician, in Part Six (Extra 1) of our video how-to series, as he installs the Baja Rack Jerry Can Holder on our project D2. Questions about this video? Call us at 1-800-533-2210 or contact us via live chat.